The Frick Park Lawn Bowling Club was founded in 1937 and is the only public lawn bowling green in Pennsylvania. Pittsburgh, PA. – After months and months of construction, the refurbished Frick Park Lawn Bowling club house is ready for its close-up. To celebrate the re-opening of the historic, WPA-built, club house in Point Breeze, the Frick Park Lawn Bowling Club will be hosting a rededication and ribbon-cutting ceremony on Monday, May 28 at 10:30 AM. Club officers, members and community residents will be in attendance. The event will feature a bagpiper-led procession from the renovated club house to the lawn bowling greens where there will be flag raising ceremony and pledge of allegiance. Afterwards, VIPs and guests will participate in the ribbon cutting. “We’re so pleased to be able to thank all those from the city of Pittsburgh who were responsible for the beautiful renovation of the club house,” said club president Eileen Luba. “Not only is the club house a treasure for our members, it’s also a jewel in the community, serving as a gathering spot for people who stop to watch matches while walking their dogs or riding their bikes.”The ribbon cutting ceremony is free and open to the public. Tours of the renovated club house will follow the ceremony. Light refreshments will be served. 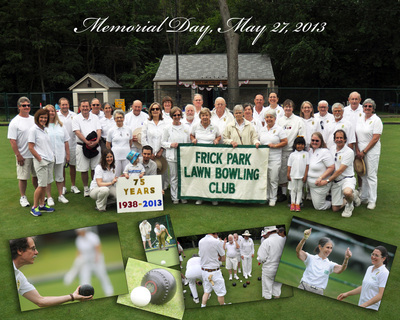 The Frick Park Lawn Bowling Club was founded in 1937. The Frick Park Lawn Bowling greens are the only public greens in Pennsylvania. For information on membership and support, visit www.lawnbowlingpittsburgh.org or find the club on Facebook at Frick Park Lawn Bowling Club.